Nov. 11, CityPlace Plaza. Family fun starts at 3 p.m., show starts at 6 p.m.
Dance through the ages and enjoy the season’s first “snowfall” at CityPlace’s Annual Tree Lighting. Free. Nov. 25, 6 to 8 p.m., 11701 Lake Victoria Gardens Ave. This free event features thousands of holiday lights synchronized to classic holiday tunes, activities and seasonal specials from merchants. Also enjoy Polar Express- themed train rides, a special visit from Mrs. Claus, cookies and milk station, holiday letter-writing station, festive stilt walkers and much more. The light show continues nightly until December 30th. Sunday, December 3, 3:00 to 5:00 p.m.
For more than four decades the Flagler Museum has observed the tradition of Henry Flagler's descendants and relatives lighting the Museum's Christmas Tree on the first Sunday of December. Seasonal refreshments in the West Room - 3:00 p.m. - 4:30 p.m.
Santa Claus in the Pavilion - 3:30 p.m. - 4:30 p.m.
Brief Organ Performances in the Music Room- 3:30 p.m., 3:50 p.m., and 4:10 p.m.
Brief Piano Performances in the Drawing Room- 3:40 p.m., 4:00 p.m., and 4:20 p.m.
Holiday Caroling in the Courtyard - 4:30 p.m.
Christmas Tree Lighting - 4:55 p.m.
Henry Flagler's descendants and relatives will light the 16ft. tall Grand Hall Christmas tree. 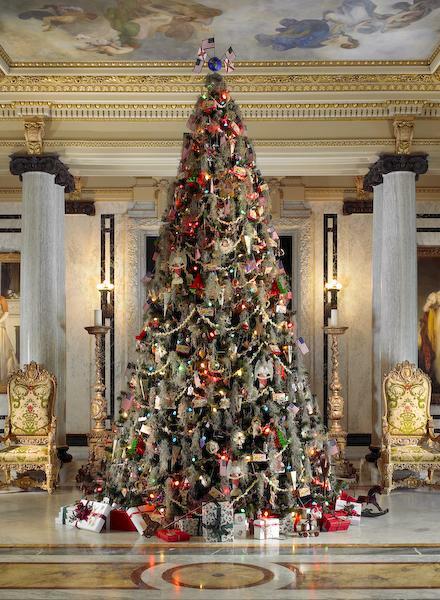 The Flaglers celebrated Christmas in a traditional Gilded Age fashion, with a tree richly decorated with ornaments, colored electric lights, and gifts for the local children. The Museum continues that tradition and will hand out Animal Crackers, a snack invented in the Gilded Age. The iconic circus box with a string was originally designed to be used as a Christmas Tree ornament. Saturday, November 18, 6:00 p.m.
Kickoff the holidays at Harbourside Place’s 3rd Annual Tree Lighting Ceremony! Enjoy performances by local school & community groups as well as photos with Santa Claus! Bring a new unwrapped toy or gift card for the Little Smiles’ Holiday Toy Drive. For more information about Palm Beach County lifestyles and real estate, contact a Tauber Real Estate Services specialist.